This is a self-service Independent Home managed by Owner. Our team will assist you during your stay. 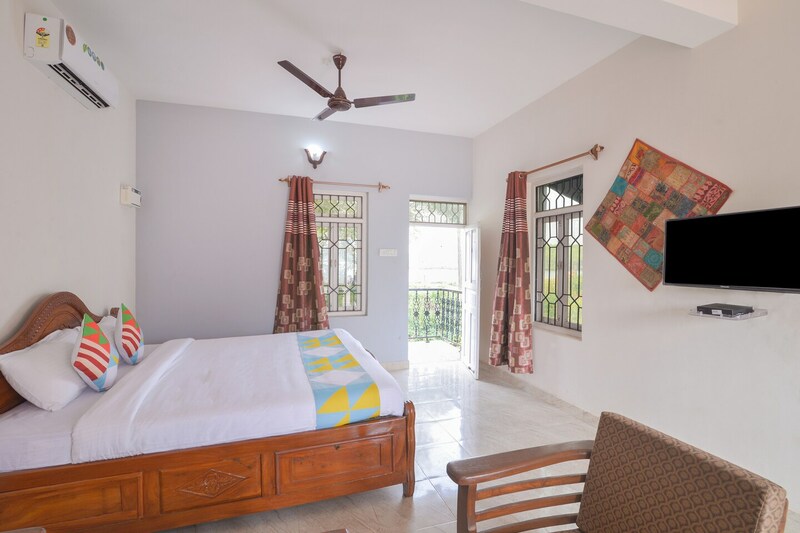 OYO 14644 Home Riverview Studio Siolim is the right choice if you want to stay close to Goa action while enjoying a comfortable stay. For any kind of assistance you need in relation to your stay, our skilled and friendly staff is just a call away. From regular to exceptional, you will find all the amenities such as AC, Geyser, Mini Fridge in your room ensuring you have a pleasant stay. While you are our guest, your safety is our top priority. We ensure to be equipped with first-aid, fire extinguisher and professional security all the time. Wander around the city visiting its top attraction like Chapora Fort, St. Cajetan Church and Casino Palms. Come back to rest your head in OYOs peaceful environment. Do not fret if you run out of cash. Theres Corporation Bank ATM, ICICI BANK ATM and ATM Canara Bank located at a short distance. Make memories in Goa, while you enjoy a welcoming stay at OYO 14644 Home Riverview Studio Siolim.